Well, aside from cleaning the bathroom, ironing clothes is one of the household chores that I dislike doing but of course, I have no choice but to do it because I don’t like wearing wrinkled clothes. 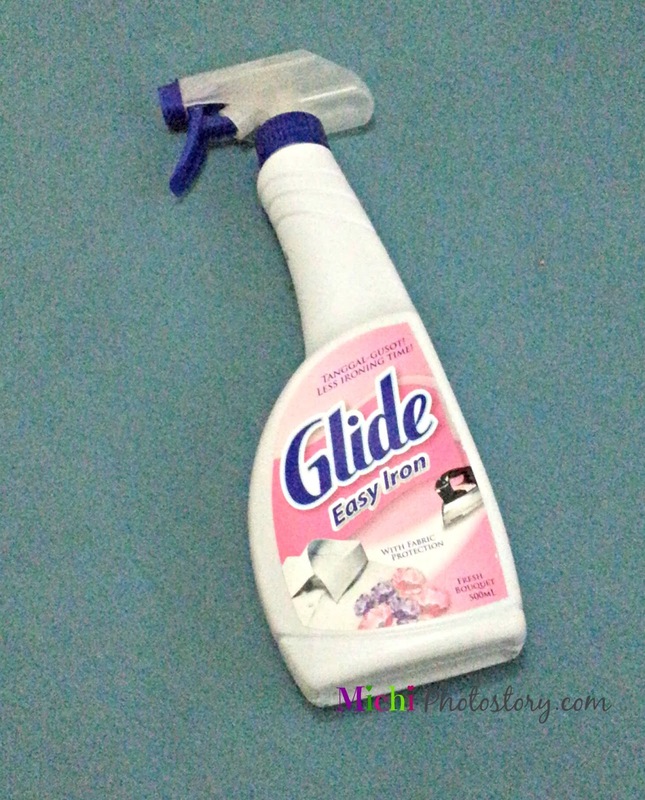 Since last year I’ve been using Glide Starch Spray to help me in my ironing task and just recently I tried the Glide Easy Iron. I love these products because it also freshens the clothes as in ang bango ng damit. I love the smell. Glide Easy Iron – Specially designed to make ironing faster and easier. It has a heat-activated Fabric Protect Formula that leaves an invisible protective film on clothes, preventing stain or dirt from being easily absorbed by the fabric. For faster, easier, smarter ironing! Glide Starch Spray - Specially formulated with Pro-Form Active that provides form and body making your clothes crisp and smart-looking all day. It has a unique formula that keeps clothes wrinkle-free for a long time. Glide Starch Spray is designed for everyday use; and is ideal for office wear, school uniforms and special fabrics that need added form.